PARIS, April 15. /TASS/. 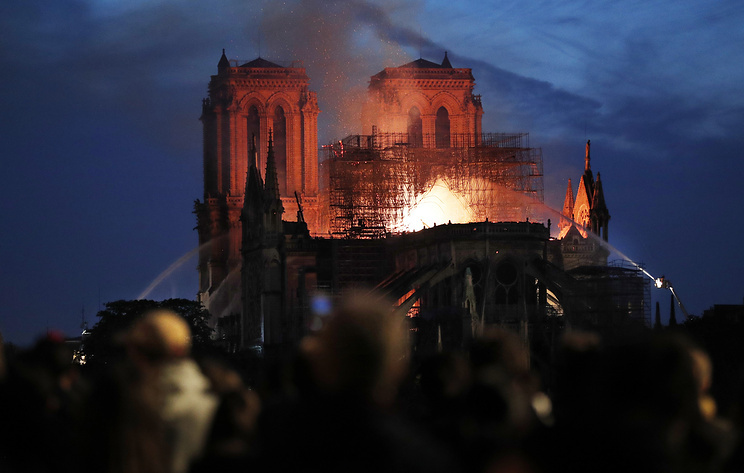 The United Nations Educational, Scientific and Cultural Organization (UNESCO) is closely following the developments in the situation with the Notre Dame cathedral in Paris where a fire broke out on Monday evening, the organization’s Director General Audrey Azoulay said. “I am very emotional about the fire at the Notre Dame cathedral in Paris, which has been the World Heritage Site since 1991,” Azoulay wrote on her official Twitter account. “UNESCO is closely following the situation and stands together with France to protect and retore this World Heritage Site,” she added. Hey Buddy!, I found this information for you: "UNESCO closely following situation with Notre Dame cathedral fire — director general". Here is the website link: https://russophile.org/unesco-closely-following-situation-with-notre-dame-cathedral-fire-director-general/. Thank you.